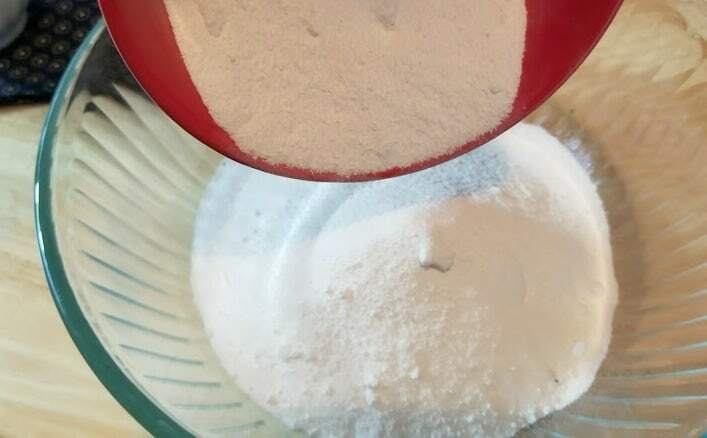 Learn how to make homemade dishwasher soap with essential oils, baking soda, vinegar, salt and Borax. 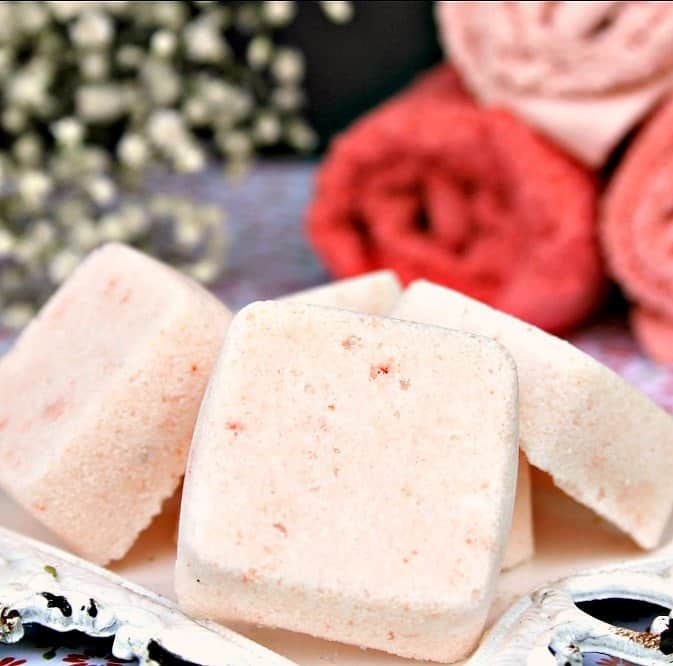 These natural dishwasher tablets can be personalized with your favorite essential oils for a unique scent. 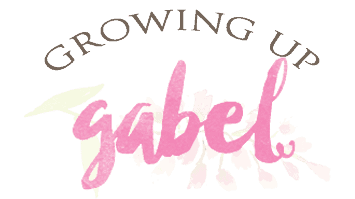 If you are a DIYer when it comes to home cleaning products, then you're going to love these tabs! 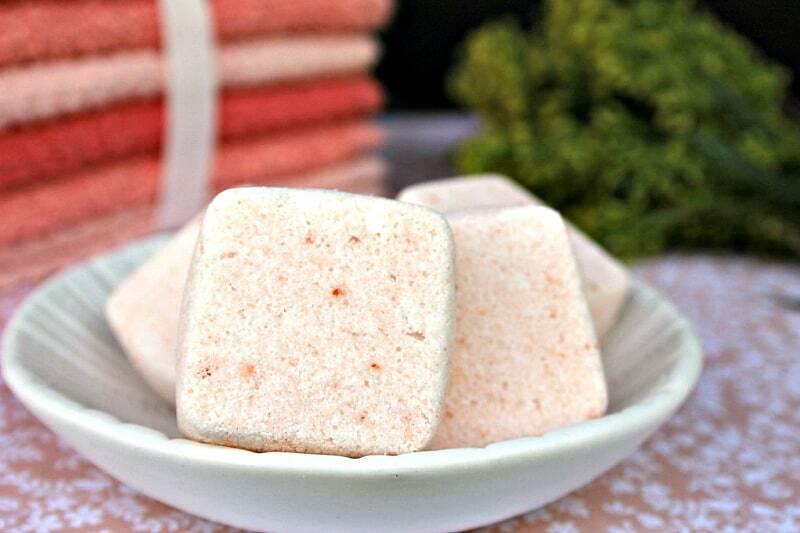 There are many of reasons to learn how to make homemade dishwasher soap. First, dishwasher detergent can get expensive. This is especially true if you have a large family and run the dishwasher many times a day. 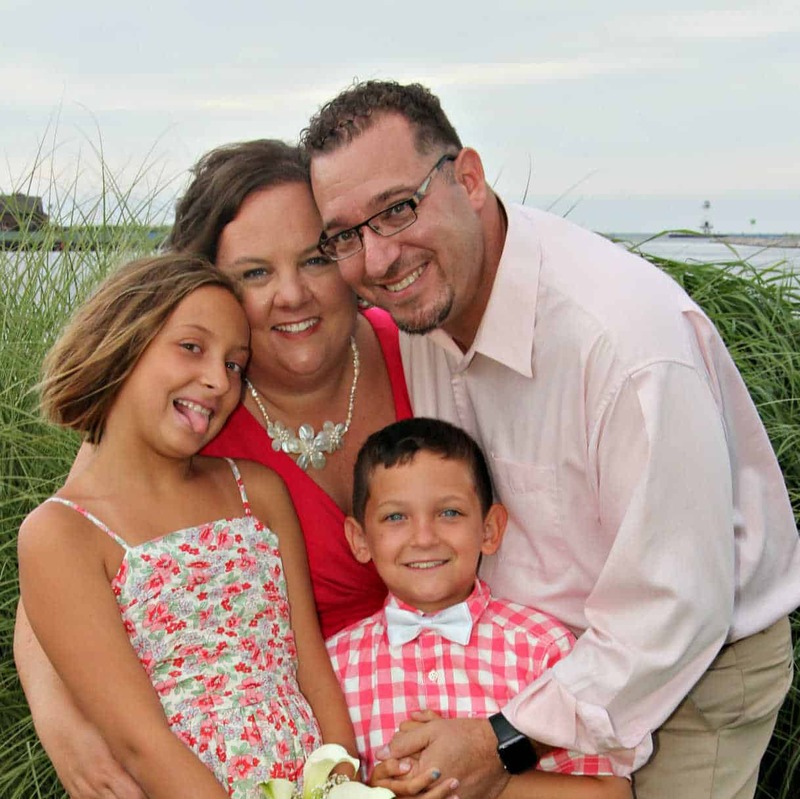 Another concern for many people is the ingredients in commercially made dishwasher soap. 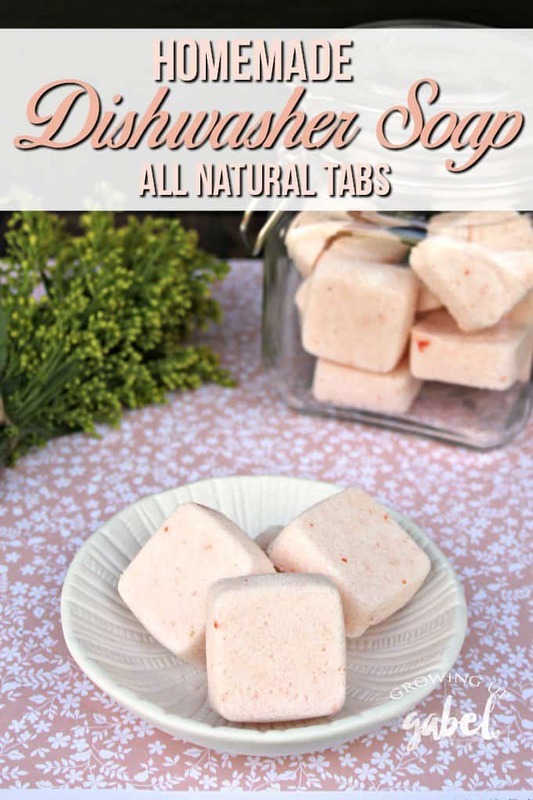 Homemade dishwasher soap tabs are all natural with ingredients that homemakers have been using safely for generations. 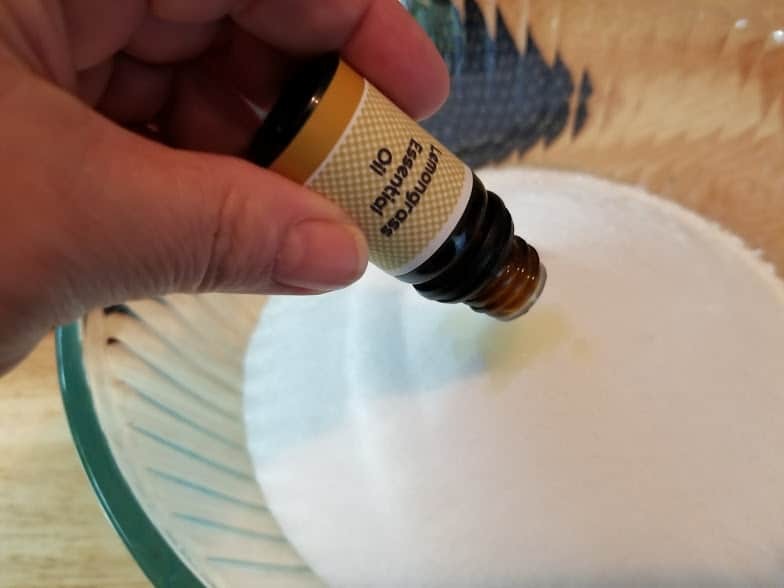 Finally, because these DIY dishwasher tablets are made with essential oils, you can personalize them with your favorite scents or use oils with specific properties you love. for even more DIY cleaning ideas! Step 1: Add washing soda to a medium size bowl. 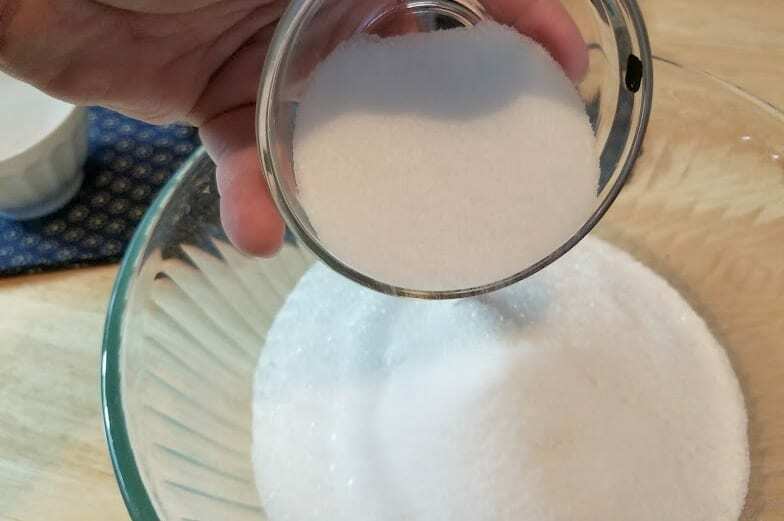 Washing soda is a special type of laundry soda. It is NOT the same as baking soda. You'll find it online or in the laundry aisle. Step 2: Add borax. 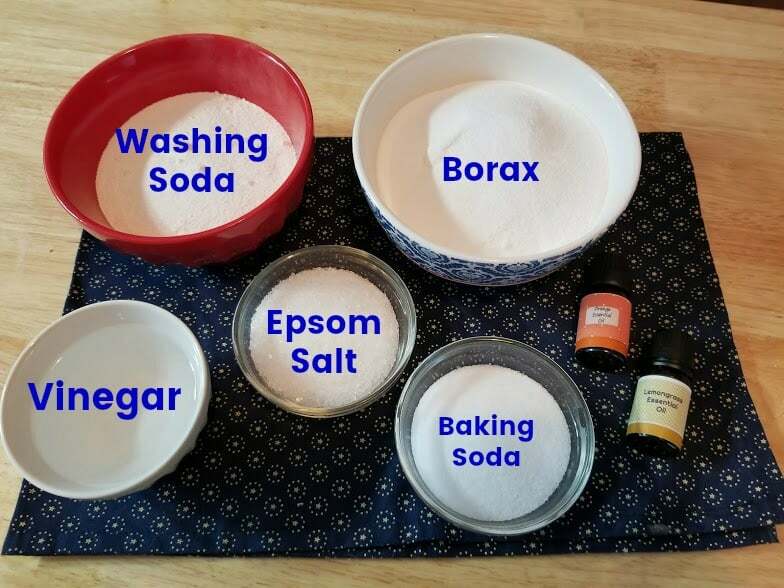 There are several different brands of borax. I've seen the 20 Mule brand the most often. You can find it online or in the laundry aisle at the grocery store. Step 3: Add baking soda. 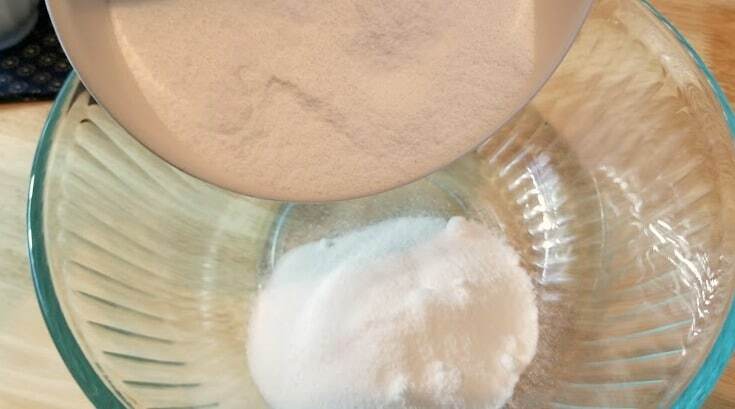 This is just the plain old baking soda you probably have in your pantry. 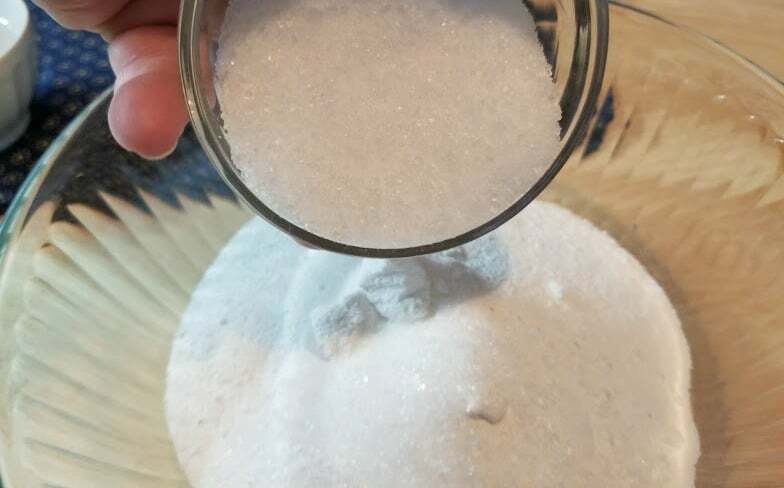 Step 4: Add your choice of salt: Epsom salt or table salt, sea salt or coarse Kosher salt. Step 5: Add essential oils. The citrus provides a nice scent and has the added benefit of helping to clean the dishes. But feel free to change this up for a new fresh scent anytime you make a new batch of the dishwasher tablets. 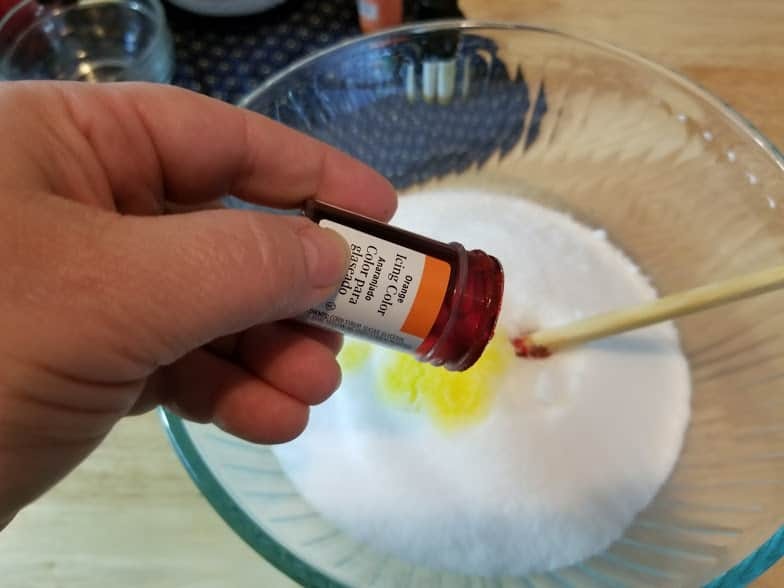 Step 6: Add food coloring if you want to color the tablets. This is totally optional and honestly just makes them a little prettier. It's also nice if you are giving these as gifts. Step 7: Add white vinegar. This is just plain white vinegar. 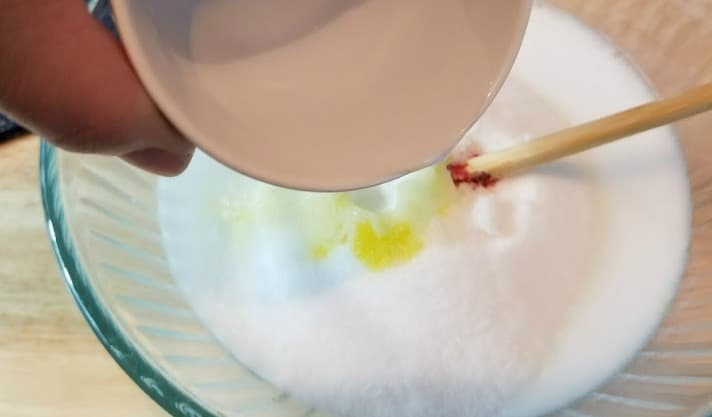 It will fizz a bit, but that is just the vinegar reacting with the baking soda like those volcano projects you've done in school. 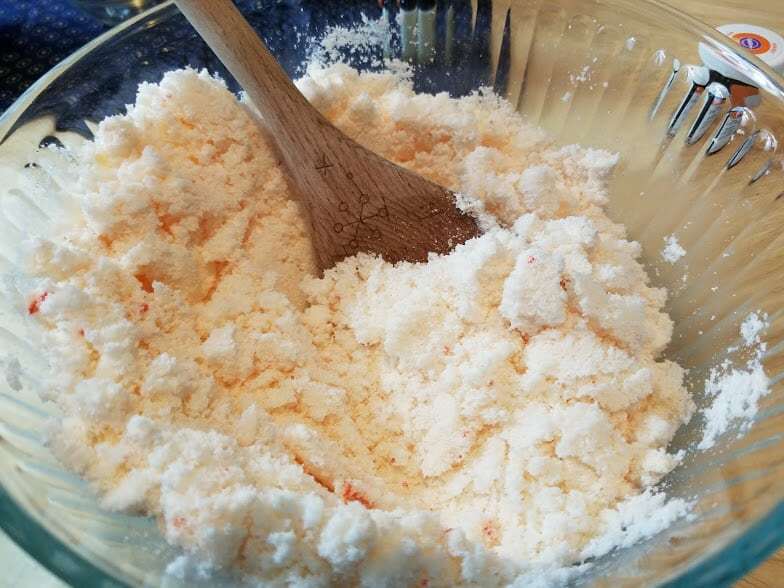 Step 8: Mix the ingredients together well until you can form a small ball when you squeeze it in your hand. Step 9: Press firmly into ice cube tray or mold. 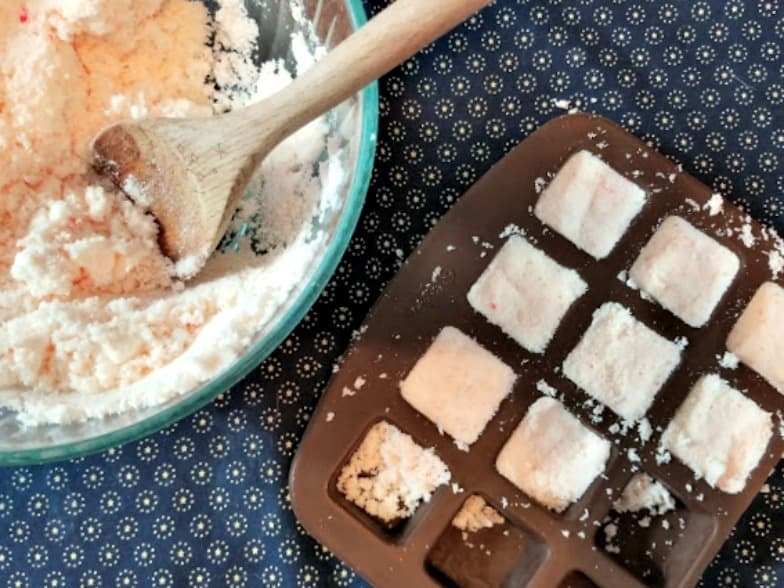 A square silicone mold makes popping the finished dishwasher soap tabs out very easy. You may need to tap/bang the ice cube tray to get the finished tabs out. For these types of projects, we always prefer the silicone option. Allow to dry completely. You can let it sit in the sun for a few hours. If drying inside, it is best to leave overnight to make sure it is completely dry. 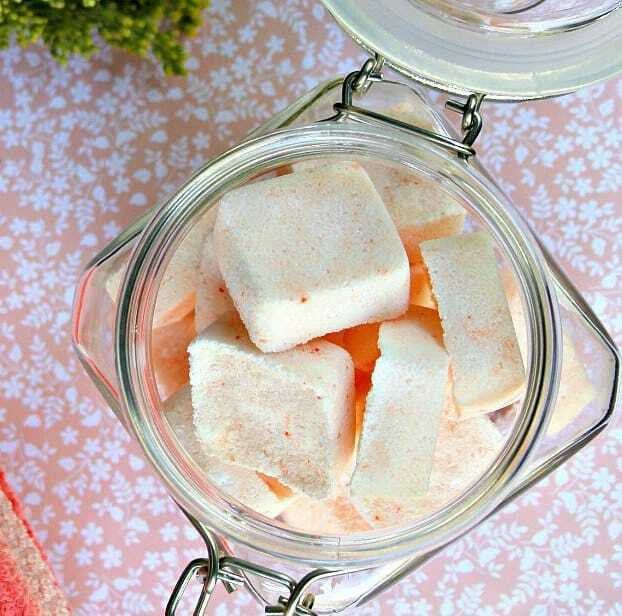 Package up the dishwasher soap tablets in a pretty jar and give it with a copy of our The Ultimate House Cleaning Schedule for an inexpensive but very useful housewarming gift. Are the dishwashing tablets safe for dishwashers that are stainless steel inside? Should be? Ours is plastic but I’m not sure why stainless would be different.